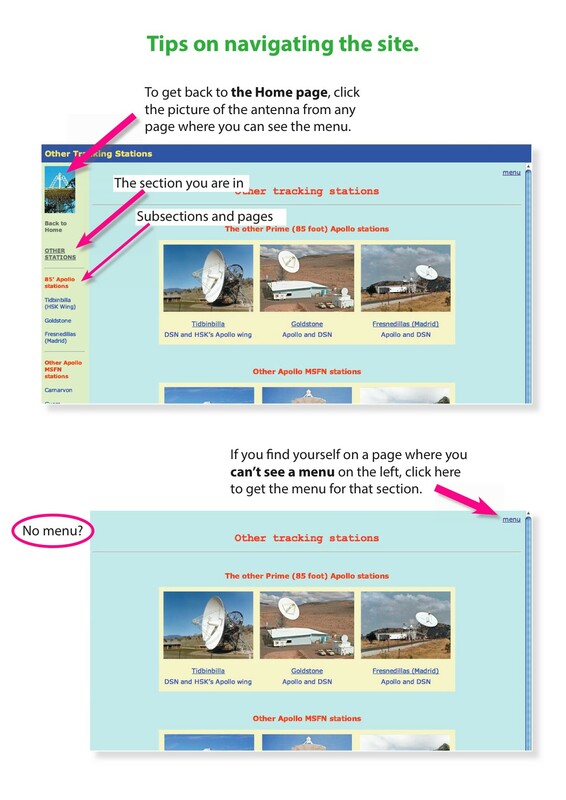 On any page, click on the ‘Menu’ link at the top right of the page to go to the home page for that section of the site. 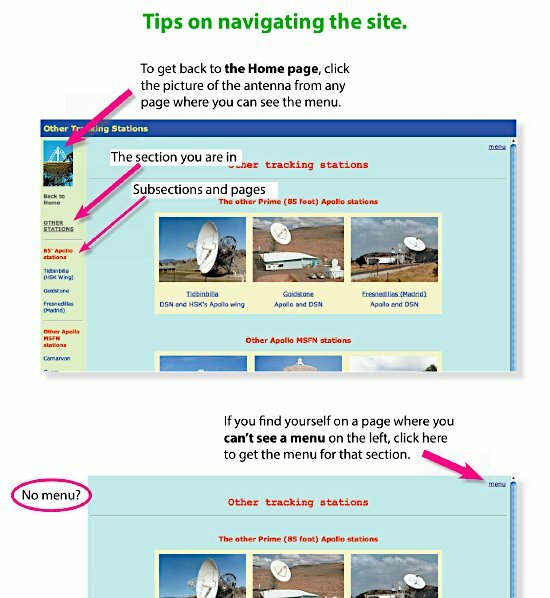 To reference any particular page, you might find it easier to to open that frame in a new window (how you will do that will depend on your browser – in Safari on a Mac, if clicking on a link, choose ‘open link in a new window’, and if the page you want is already in a frame, control-click and choose ‘open frame in a new window’). While the site began (and remains) with a focus on Honeysuckle Creek, I’ve been privilege to be put in contact with many who worked at other stations. Indeed, many worked at more than one station – and worked in the MSFN, the DSN and STADAN. For that reason, Honeysuckle and the other stations are somewhat intertwined, but that’s what it was like!